During his visit on Lake Garda, Francesco visits a Grana Padano production plant and sees firsthand how it is made. During his visit in a Grana Padano production facility, Francesco experiences the wonder of a Grana Padano ageing warehouse and gets to test a wheel of cheese, before fire-branding it. Francesco gets a lesson on the importance of the quality tests for each wheel of Grana Padano PDO and how to crack a wheel open. You think doughnuts are only sweet? Francesco shows us how to make a delicious savoury Grana Padano Doughnut! Enjoy! While on Lake Garda, Francesco prepares a healthy and delicious Sardine Salad with Grana Padano with Massimo Fezzardi, Chef of Esplanade, a wonderful lake side, Michelin-star restaurant. 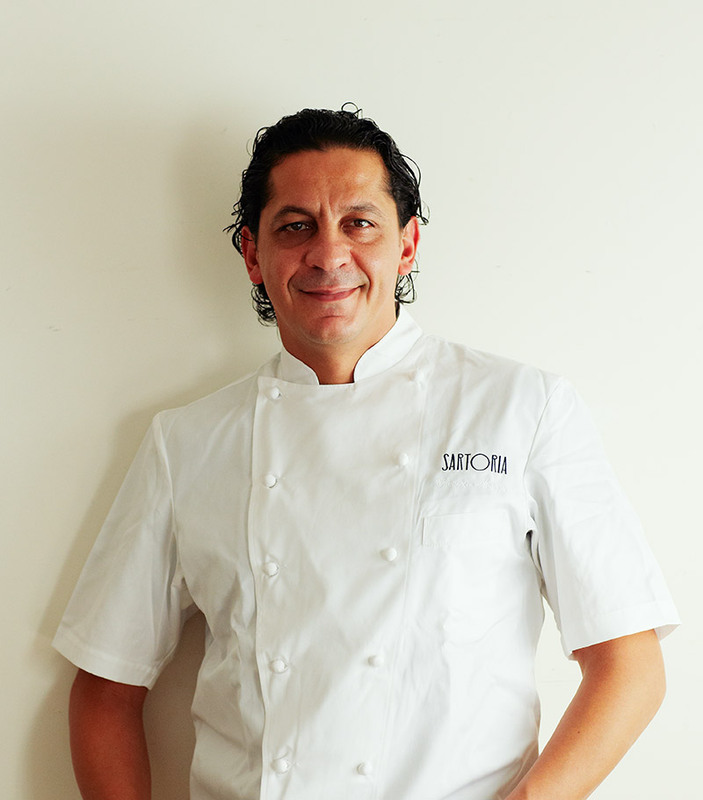 Francesco Mazzei, a Calabrian chef who has been living in London for many years, is one of the UK’s most renowned chefs of the moment. Never abandoning the flavours and traditions of Calabria, Mazzei has conquered London with three restaurants (La Sartoria, Radici and Fiume) and has often been a judge in the last editions of Masterchef UK. His cuisine is authentic and innovative, and he creates dishes that enhance the Italian culinary tradition with a modern twist. Thanks to the "Grana Padano Tailor Made" project, Francesco Mazzei had the opportunity to visit the Grana Padano PDO production area. In this exciting journey, chef Mazzei has discovered the entire productive process, from the first steps of production to the ageing warehouses and cutting of a wheel and to the use of Grana Padano in delicious recipes.